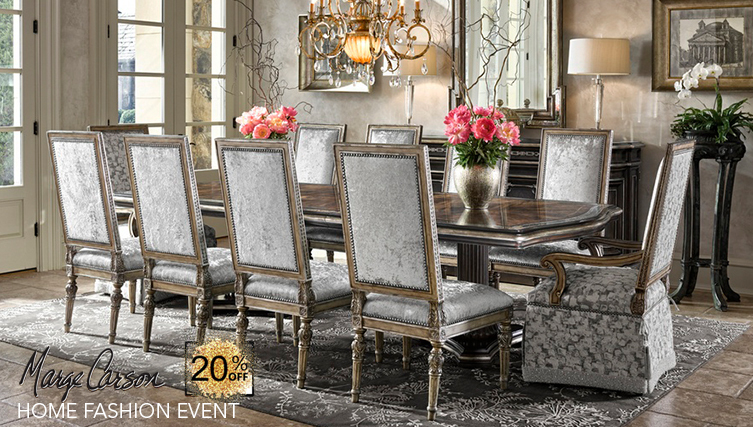 Take advantage of spectacular savings on the largest in-stock selection of Marge Carson in Houston! Noel Furniture presents The Marge Carson Home Fashion Event. Save an additional 20% off the sale price on all Marge Carson home furnishings. Our talented design team can also assist in finding you the perfect look for your individual style. Marge Carson always has been decidingly elegant yet casual with generously proportioned silhouettes upholstered with the finest, most luxurious textiles. Noël Furniture has the finest selection of unique, one-of-a-kind & custom pieces along with the largest in-stock inventory of Marge Carson in Texas. 2727 SW Freeway located on 59@Kirby.